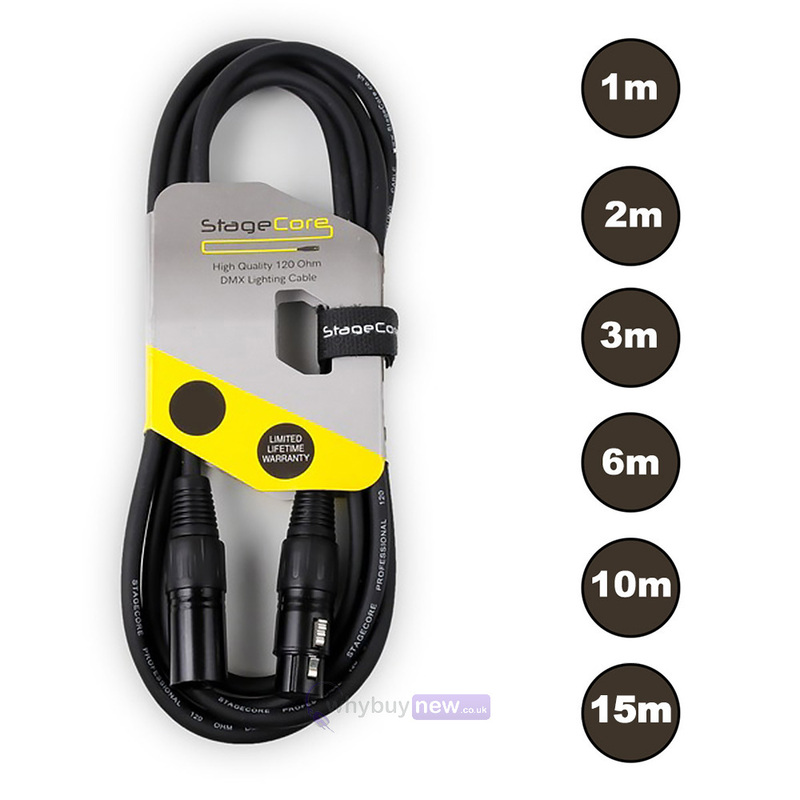 This cable is available in 1m, 2m, 3m, 6m, 10m and 15m lengths, which can be chosen from the drop-down menu. 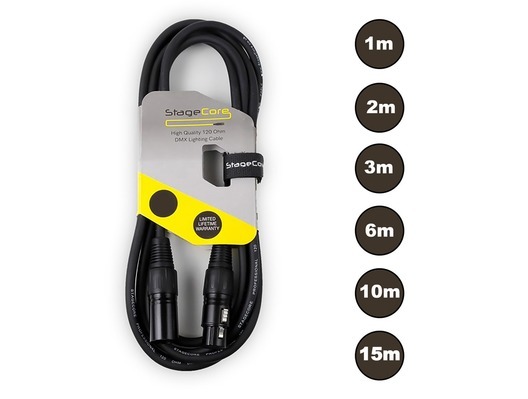 The StageCore 3 Pin XLR Male - 3 Pin XLR Female DMX Cable is a high quality black 120 Ohm DMX cable, perfect for use with any DMX-controlled equipment. 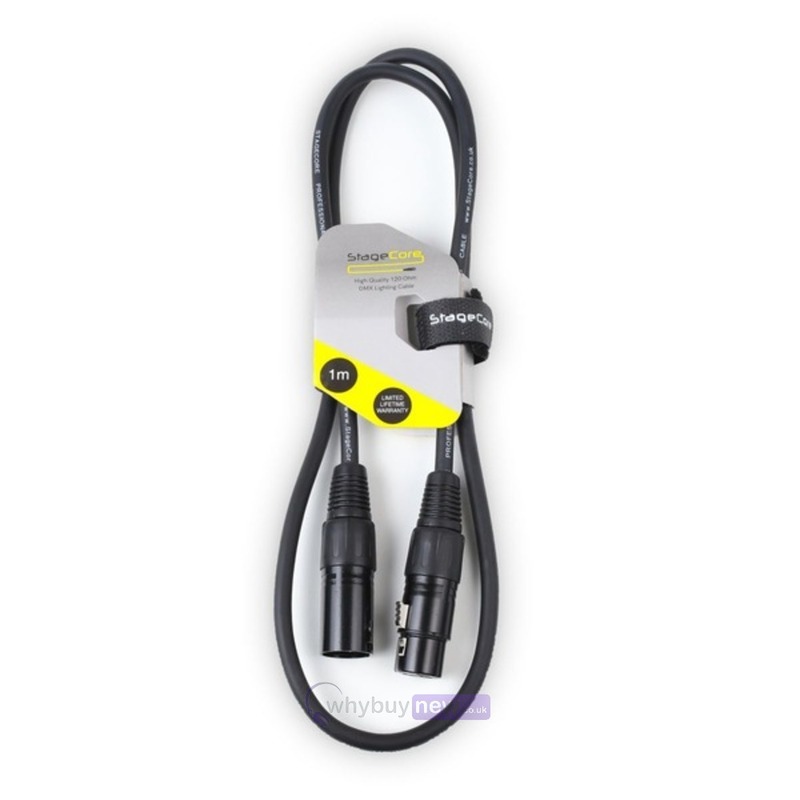 Its durable design ensures reliability.